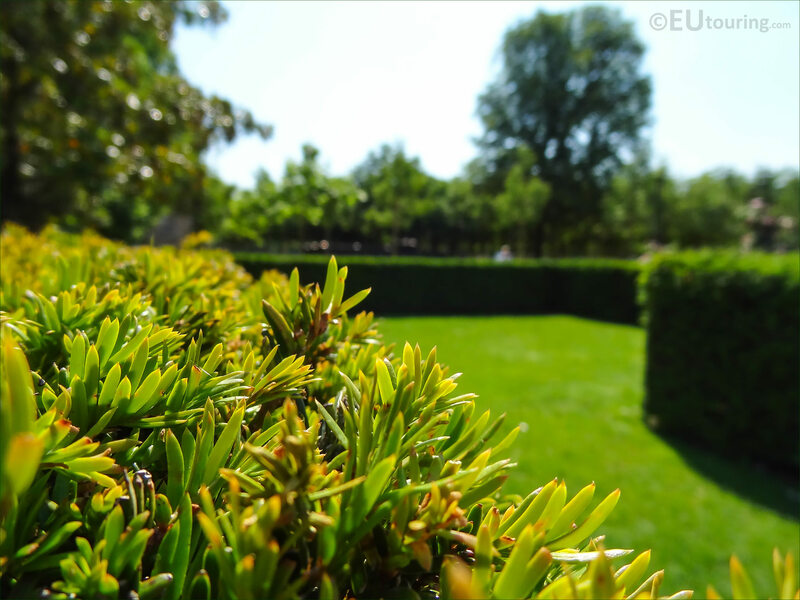 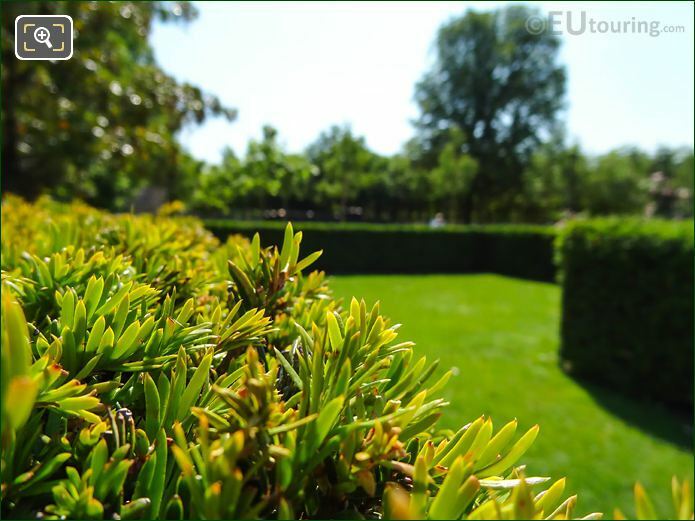 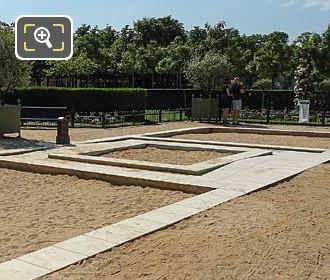 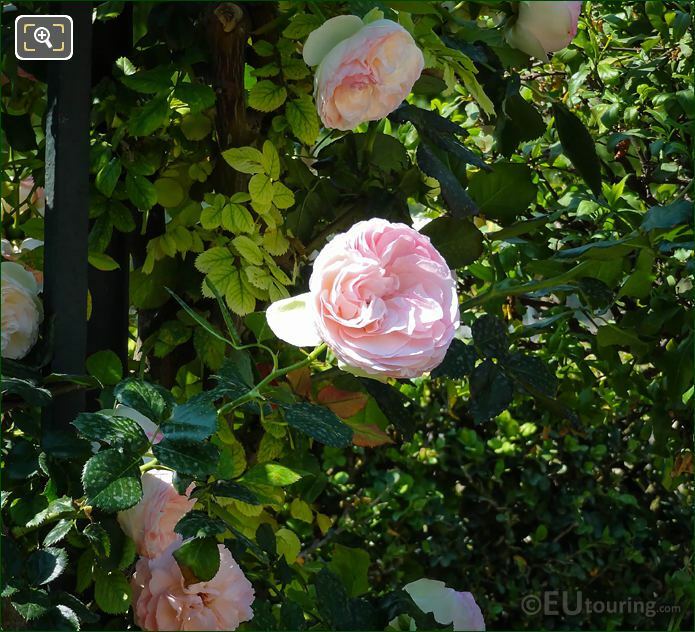 We took these high definition photos showing the historical Rose Garden, which is located within the Jardin du Luxembourg in the 6th Arrondissement of Paris and is called the Jardin de la Roseraie in French. 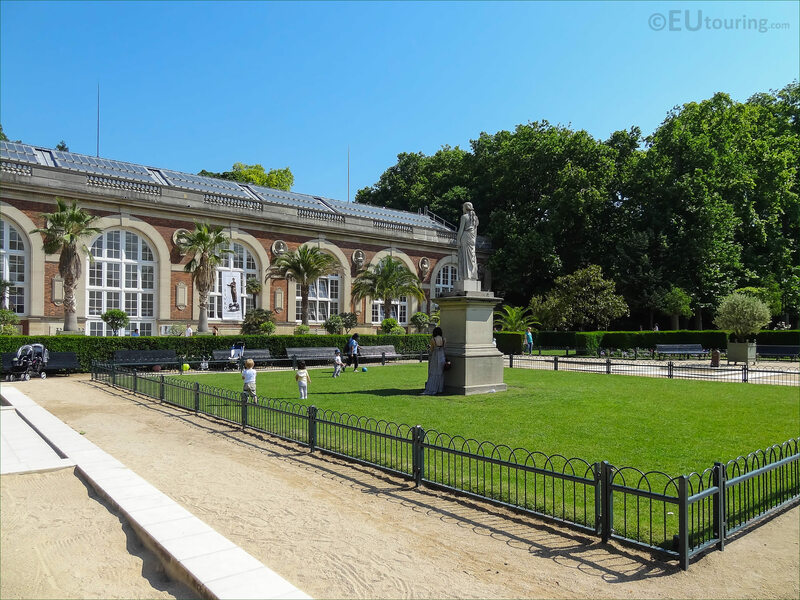 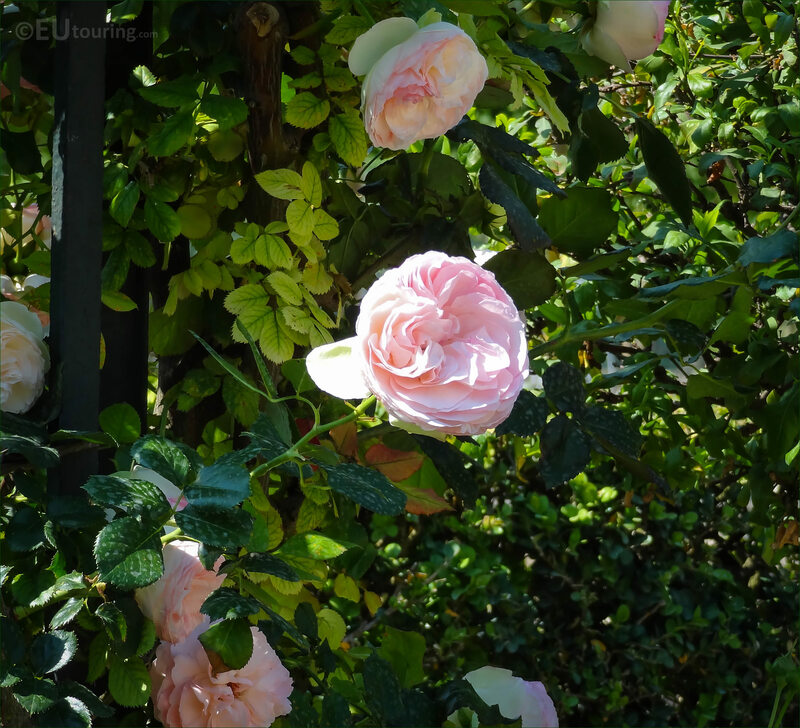 There has been a Rose Garden or Roserie established within the Luxembourg Gardens for centuries, and in this first HD photo you can see one of the varieties of climbing roses that are located within this small section of the Jardin du Luxembourg. 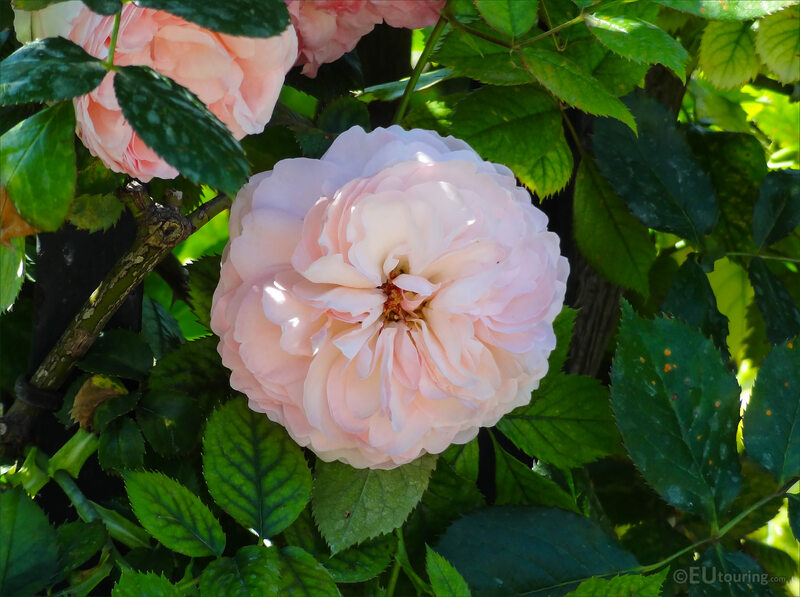 And in this next close up photo you can see one of the beautiful roses that bloom in season, and back in the 1840s when Jules-Alexandre Hardy was the Head Gardener of the Jardin du Luxembourg, it was classified as having the most splendid collection of roses in all of France. 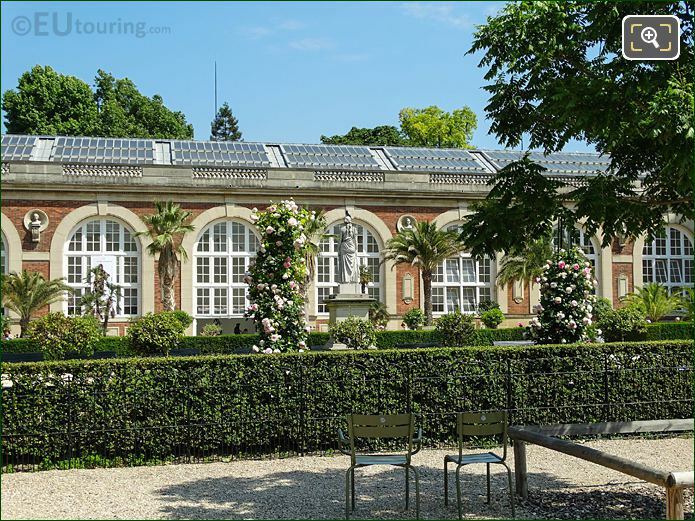 Now this is a view looking into the Jardin de la Roseraie in a westerly direction and beyond to the Orangerie, which as you can tell is bordered by a low hedge all the way round, although originally the area was bordered by a fence made of hundreds of sticks. So here you can see one of the borders with some of the roses that are contained within the garden, along with the bedding plants that provide a variety of different colours for everyone's enjoyment and originally they were over two metres in width and had different varieties of roses with a dwarf version next to the larger one. 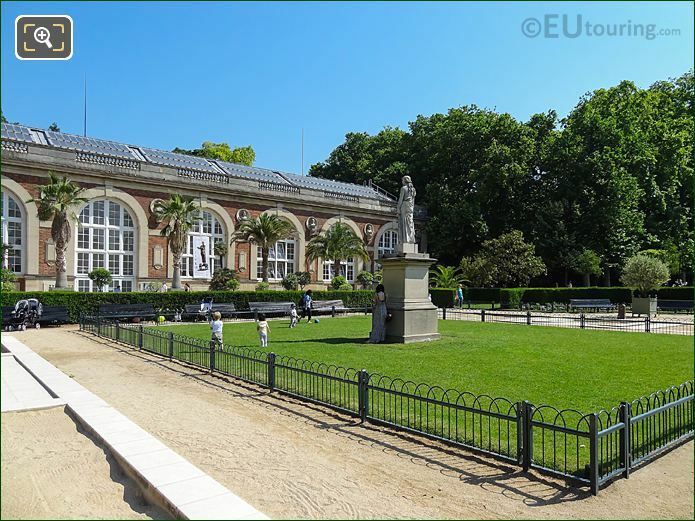 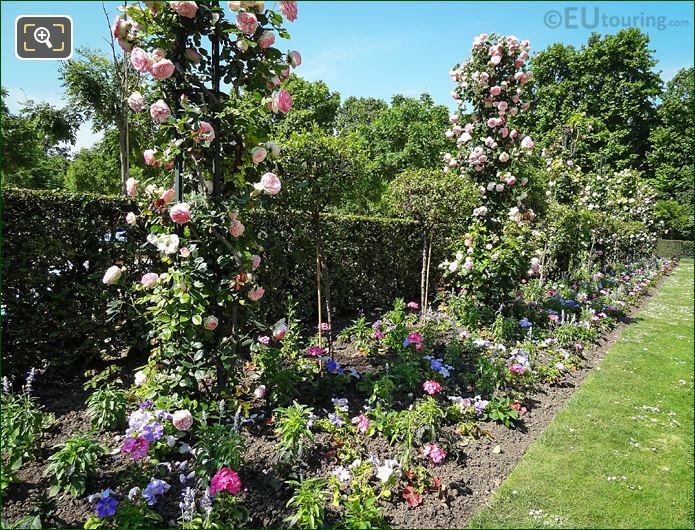 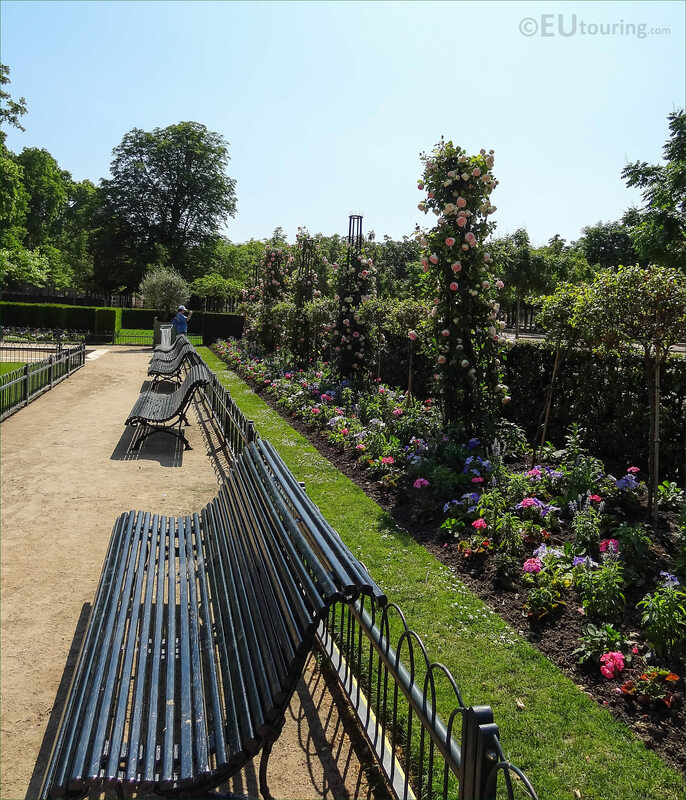 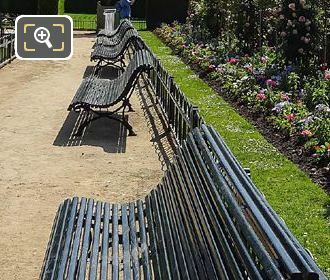 And in this image you can see some of the many park benches next to the border of the Roserie, which was also written in books in the 1800s as the most renowned Rosarium in Europe with hundreds of different varieties of roses in fine condition. 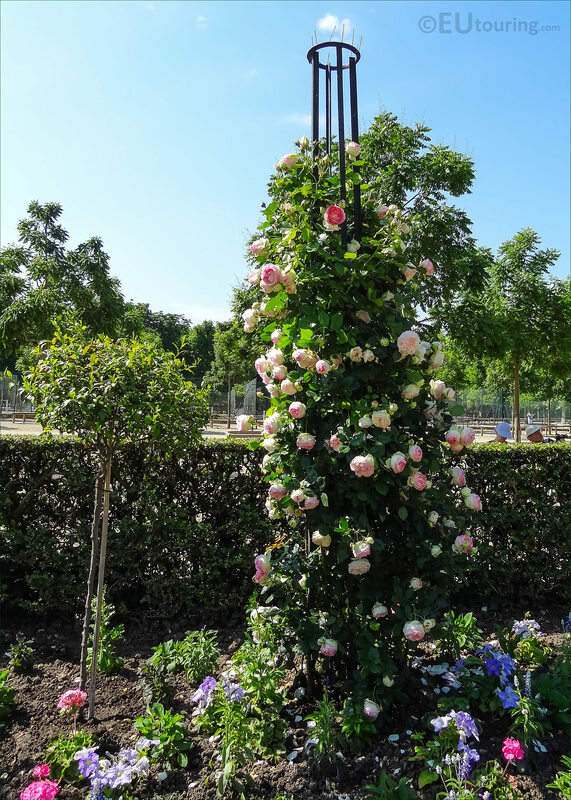 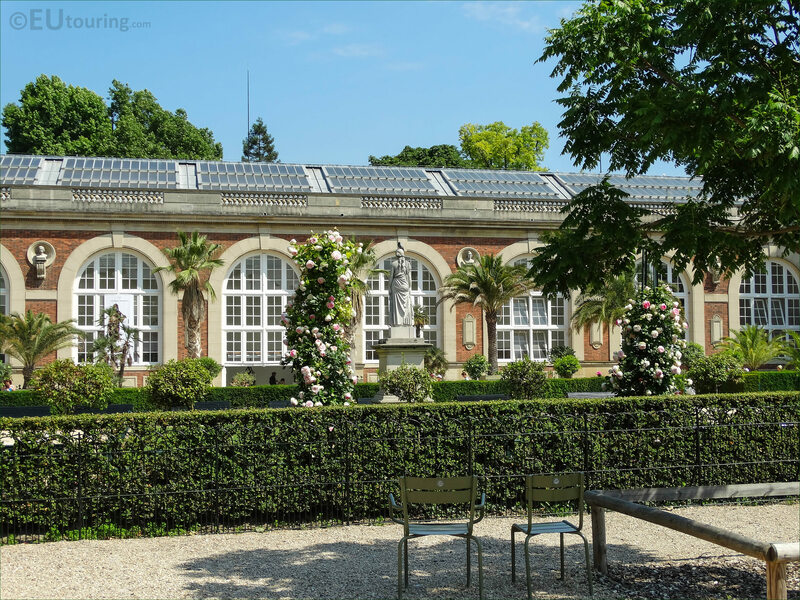 The Head Gardener for the Jardin du Luxembourg, Jules-Alexandre Hardy, had originally catalogued all the different varieties of roses that he meticulously maintained, and even when Auguste Riviere took over as Head Gardener this continued with many very historical plants in his care. 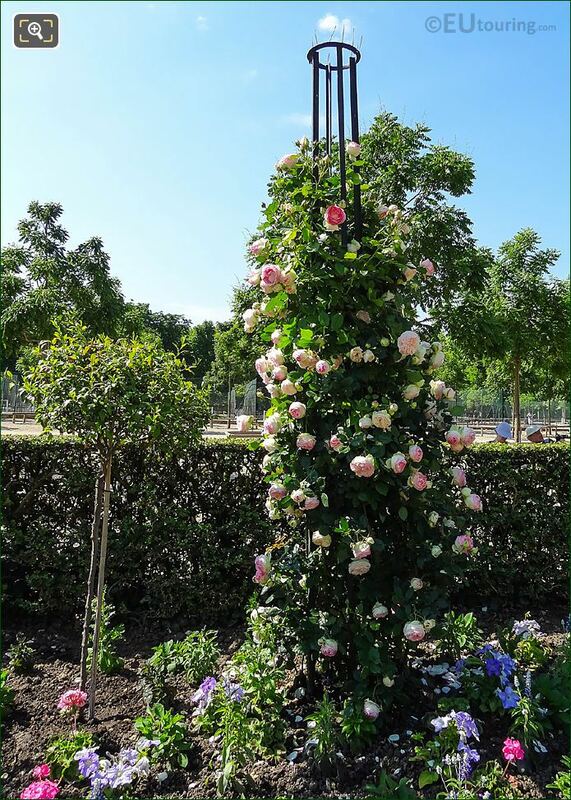 However, unfortunately things changed dramatically and by World War I the Rose Garden had been destroyed, but eventually it was re-established, yet unfortunately there are now only approximately eight varieties roses that originate back from the times of Jules-Alexandre Hardy. 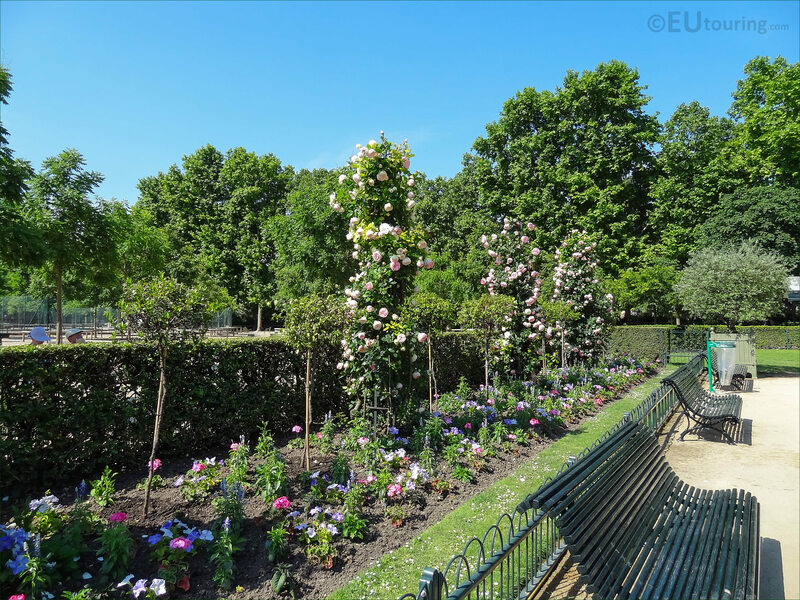 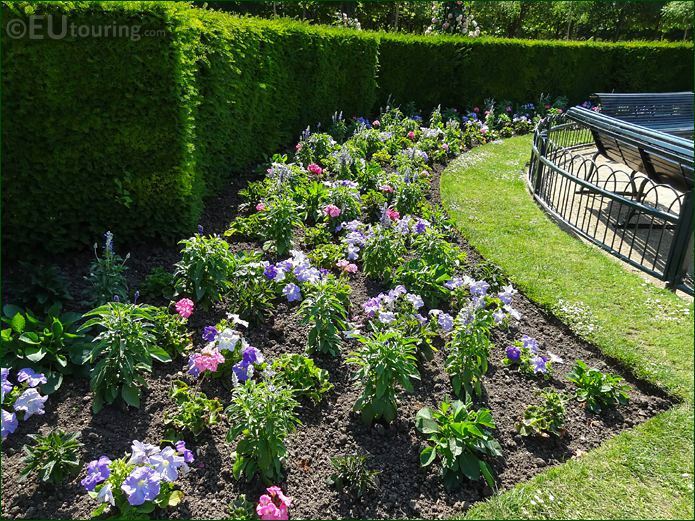 The Jardin de la Roseraie is now a place for relaxation amongst the beautiful flowers, like these bedding plants you can see here, not forgetting the roses of course, yet as you can see there is small fence stopping people from getting too close to the flowerbeds. 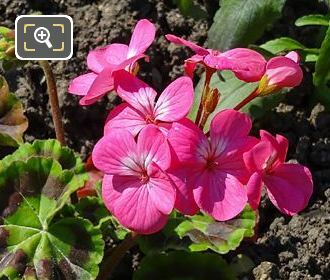 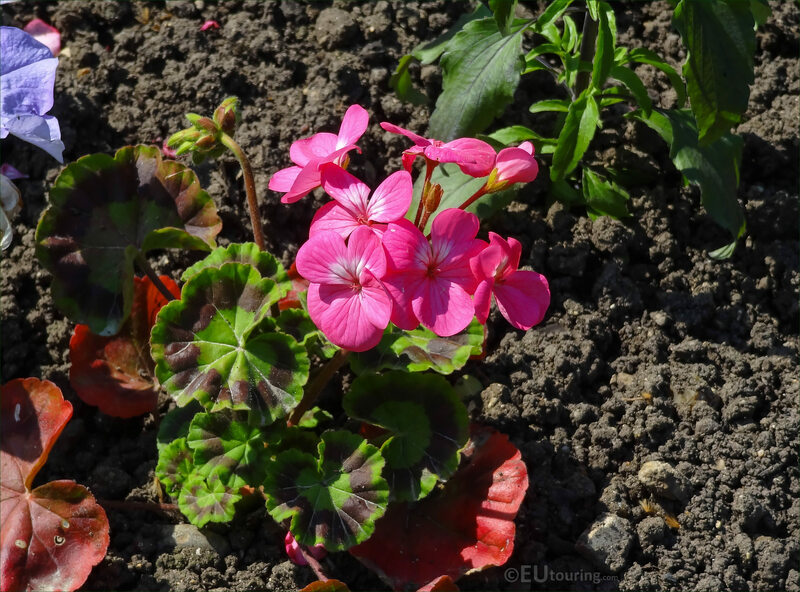 But here is a close up of one of the many varieties of bedding plants that can be found within the Luxembourg Gardens, and this is one of the numerous varieties of Geraniums from the zonal leafed variety that are popular within most gardens and even as house plants. And this photo of the Rose Garden, or roserie, within the Jardin du Luxembourg was taken showing the westerly flower bed and the entire area was redesigned in the 1950s, and then again far more recently to make a space for very young children as well. 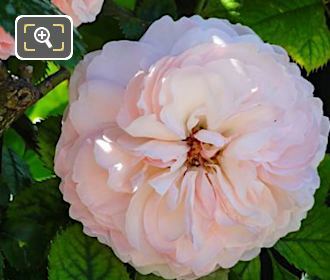 Now this high definition photo shows a close up of one of the climbing roses to be found within the Jardin de la Roseraie, which we believe is probably a variety of Bourbon Rose that was first introduced into France in the 1800s, although it is very similar to a Tea Rose that was also catalogued as once being within the garden in 19th century. 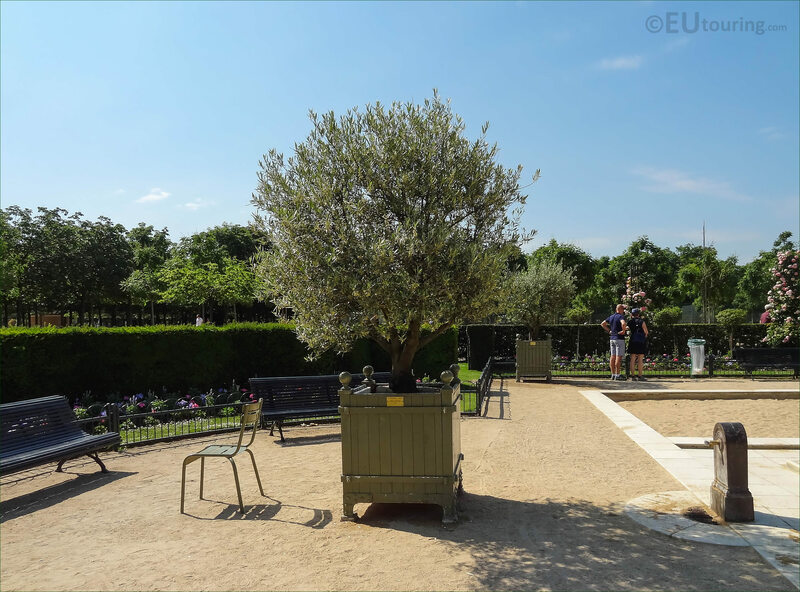 We mentioned earlier that a dedicated space for young children had been put in place within the Rose Garden, and in this image you can see the sandpits that the children love, while parents can watch on from the park benches knowing they are safe, plus, as you can see, there is even a water tap where they clean off after having some fun. Yet this photograph shows the central area of the Rose Garden in the Luxembourg Gardens opposite the Orangerie, and in the middle you can see the statue called La Messagere, which in English translates to The Messenger, and was installed in 1950. 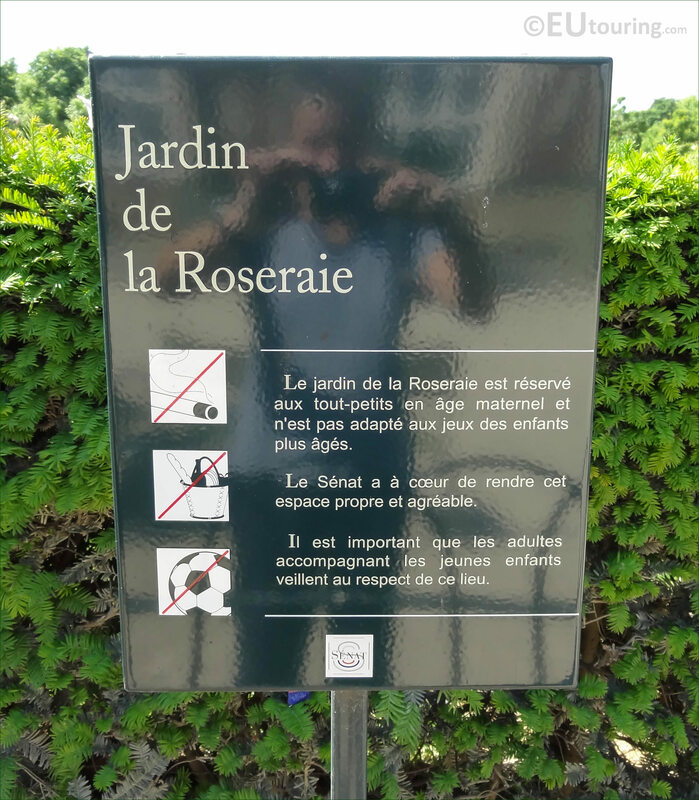 Although in this photo we were looking at one of the bushes towards a part of the grass area surrounded by hedges within the roserie, which as you have probably gathered is spelt roseraie in French. 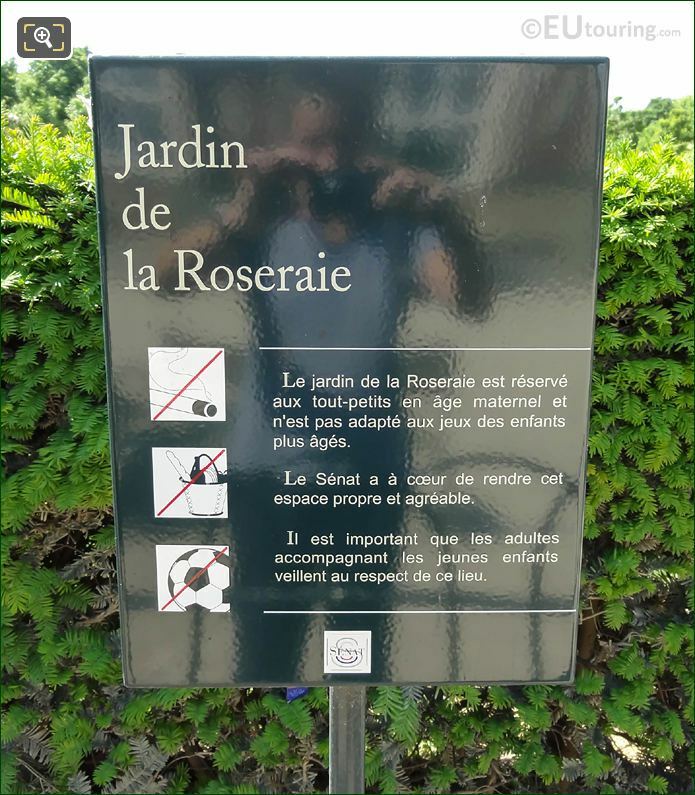 The Garden of the Roserie is reserved for toddlers and is not adapted to games for older children. 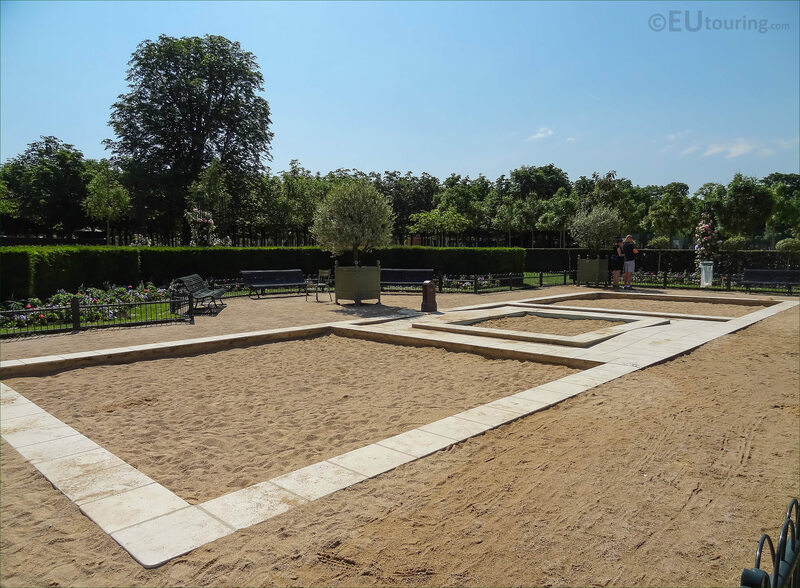 The Senate has a heart to make this clean and pleasant space. 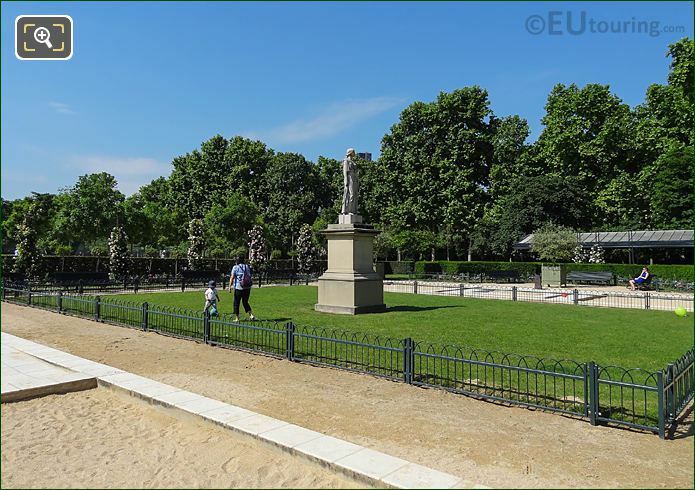 It is important that adults accompanying young children ensure respect for this place.